Three Day Road a memorable story that will haunt, inspire and entertain. 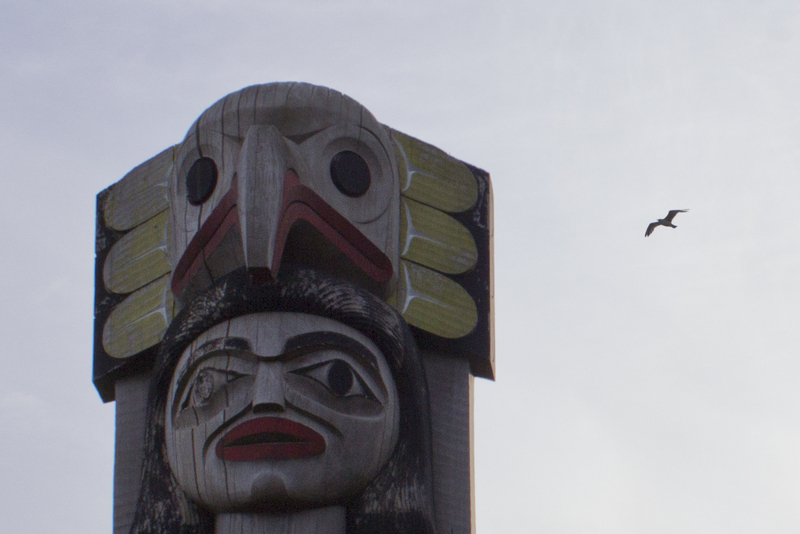 Niska is a traditional medicine woman, a mix of Cree and Ojibway. She's been taught divining and traditional medicine by her mother and father, has seizures and sees visions. She's also the destroyer of windago, an evil presence that sometimes takes possession of humans, a role she has inherited through the generations. Niska is a "bush Indian", living alone in the wilderness of northern Ontario. She is coming by canoe to a small town to meet Xavier, her nephew and last remaining relative. She raised him in the traditional ways until WW I broke out and he and his friend Elijah enlisted in the Canadian Army and were sent to France. Xavier and Elijah have used their hunting skills to become an outstanding snipers. In France they hunted men instead of game. It changed them. Xavier arrives home a deeply troubled young man, his leg has been amputated at the knee, he's addicted to the painkiller morphine. Niska meets him and so begins their journey back into the wilderness, back to sanity, back to healing. 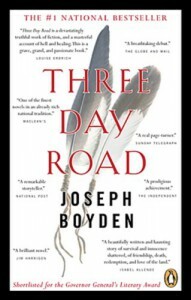 Author Joseph Boyden uses these two main characters to tell the story. Xavier floats on a morphine high and remembers the trenches, the bombardments, the death of comrades, the calculated killing of the enemy one by one as a sniper. In an effort to draw him out of his personal hell Niska talks to him of her early life, of her parents, of how she came to raise him, of the windago. Three Day Road is a moving story of love and sacrifice, of friendship and loyalty, of the horror of war and the pointlessness of it. Immaculately researched, powerfully written, this is a story that will haunt, inspire, entertain and stay with you.